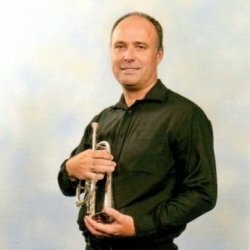 I have been playing brass instruments for over 36 years, and spent 22 years playing cornet/trumpet professionally in the best bands in the British Army. I have travelled extensively around the world performing along side other professional musicians. Since moving back to dereham 5 years ago I have held the position of Principle cornet fakenham town band and with Norfolk Wherry Brass. Norfolk Wherry Brass were placed 3rd place in the National Brass Band Finals in 2014. I have enhanced DBS clearance. I have been teaching brass now for over 18 months. I am very laid back and will not pressurise you. StephenFrom Patricia and Richard (5/5): Stephen is very patient and is giving us excellent tuition. We are mature students! learning the tenor horn and the cornet. His approach is very relaxed and encouraging which is good for beginners. Would recommend to anyone considering lessons to learn or improve playing a brass instrument. Reply from: Stephen: Thank you very much for this lovely feedback. You are both fantastic to teach and you are improving each time that I see you both. StephenFrom Christine (5/5): Stephen is excellent with his teaching. i am prepared to recommend him to anyone looking for a trumpet teacher. Reply from: Stephen: Thank you so much for the fantastic feedback.